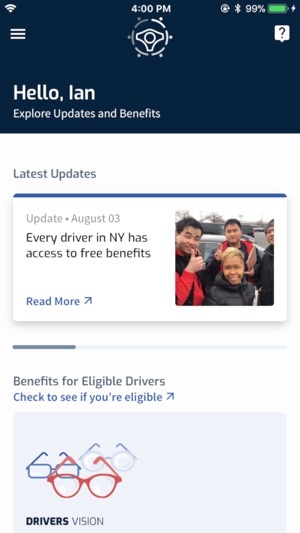 The Drivers Benefits app helps black car drivers in New York get the benefits they deserve. 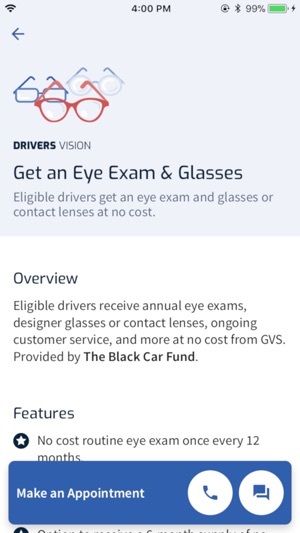 We provide over 40,000 eligible drivers free eye exam and glasses benefits and the ability to call a doctor for free whenever they need one. 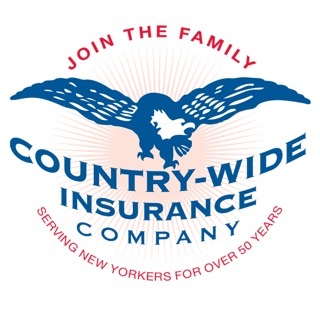 We also connect eligible drivers to workers compensation coverage if they have been in an accident while on the job. This is all made possible by support from The Black Car Fund, who has been collecting a surcharge on all black car trips since 1999. 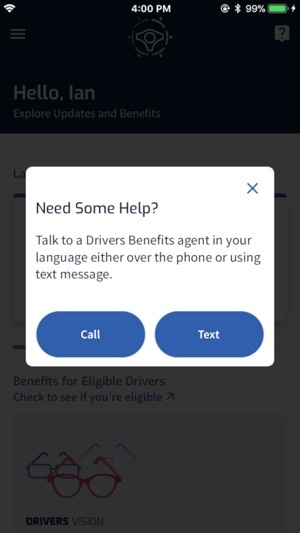 The Drivers Benefits app also connects you with the many benefits that the Independent Drivers Guild provides, including low-cost lawyers for drivers needing help with a traffic ticket or Taxi & Limousine Commission violation, driver safety and wellness classes, and discounts on prescription drugs. 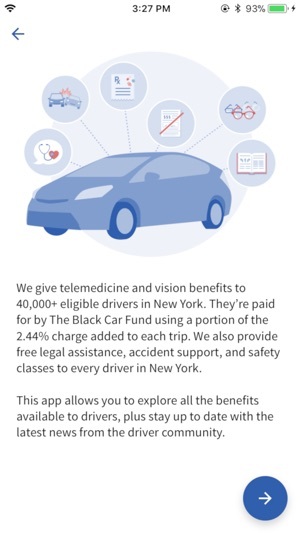 Not every black car driver is eligible to get the free vision and call a doctor benefits, which are paid for by The Black Car Fund using a 2.44% charge added to each paid trip. 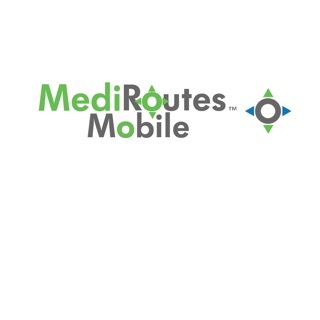 To be eligible for the Drivers Vision and Drivers Telemedicine benefits, a driver must average 85 hours per month of trips with a passenger in the car over three months. We determine who is eligible every three months and a driver who qualifies will be eligible for the next three months. 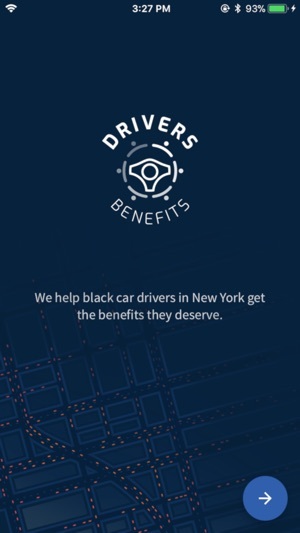 Please explore the many benefits available to black car drivers in New York, and be sure to share this app with other drivers in our community! © 2018 Workers Benefit Consortium, Inc.